Part seven in an ongoing series about a small business start-up trying to succeed on the web without relying on traffic from the major search engines. Part One: Google, We Don't Need No Stinkin' Google! The challenge left to me at the end of part six of this series was how to gracefully recover from a social media attack that left Bento Yum (and me) reeling. Standing up and walking back in the door when you feel like you've been tossed out on your rear can be difficult, but it's all part of community life on the Internet. While I've always had pretty thick skin, I've also (perhaps amazingly) never really had my professional ethics questioned, either online or off. That made climbing back in the saddle for this project difficult for me. 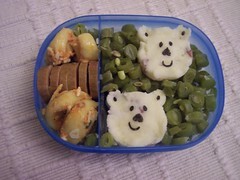 So, I took a few days to chill out and to remind myself that even apart from having fun writing this series and helping Abigail build a site, I really, truly enjoyed making bentos. Once I realized I'd keep making bentos whether I worked on the site or not, it became a little easier to get back in the groove and to rejoin the community. The disappointing thing about my experience with the "she's a marketer" controversy was the fact that even after things calmed down and the original poster apologized, many posters remained skeptical and critical of me. It was understandable from their perspective, since they had no way to know if my intentions were genuine or not. That attitude led to ongoing repercussions for my participation in the community. Additionally, I now felt I had to walk on egg shells to show my genuine interest in the community. All of a sudden, I noticed rules that I'd never seen enforced for regular posters were stringently enforced for me. In fact, I had my virtual hand slapped several times, often for something I'd done that appeared in a post just below another member who had done the exact same thing. Rules are applied more stringently when you are earning your way back into people's good graces. Fair enough, if you consider it from the community's perspective, but something I hadn't really thought about until it happened. The lesson here? If you recover from a social media disaster, realize that you'll be posting under a microscope as you earn your way back into people's good graces. Think of it as penance. If you're serious about staying part of the community, you'll serve your time in the penalty box. The interesting thing about the public relations disaster that struck when the social media storm hit Bento Yum was that there were some unexpected benefits to all the fuss. In fact, I was so busy worrying about keeping the site afloat, I never stopped to remember the phrase "bad press is better than no press." In fact, Bento Yum ended up seeing three distinct marketing boosts from this experience. The first was fairly obvious in its simplicity. 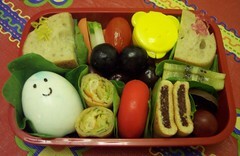 There were more than 2000 members of the Bento Lunches community where all the drama went down. While it was easy to panic at the idea of 2000 people suddenly seething with rage at our business, the reality was that many of them didn't feel we were in the wrong. 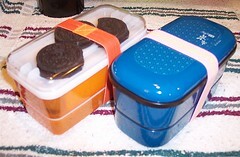 Even better, many of those 2000 members likely had no idea that Bento Yum featured bento sets for sale. They did now. Basically, by "outing" us as marketers with a product for sale and by having the thread turn into the biggest conversation that had taken place on the community in quite some time, the original poster pretty much guaranteed that every member of the community was now aware that they could buy bento sets from us. Page views to our site and our product page sky rocked in the days and weeks after the event. Sales and subscriptions to our email notification list went up as well. It didn't end there though. Email from our regular readers and many of our customers came pouring in as well, offering support and encouragement. Abigail and I emailed back and forth with them, thanking them for their support, gathering feedback on things we could do differently and addressing any issues or concerns they had. By the end of the week, our core group of readers and customers had solidified their support for us and given us an opportunity to build even better relationships with them. Finally, the social media "pile-on" game arose for a second round, this time playing in our favor. As it turns out, there are communities on Live Journal called "snark communities" where the posters basically point to other fights or battles taking place in social communities and comment on them. 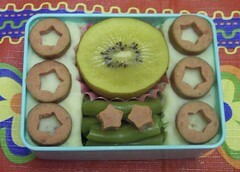 Someone posted a link to the Bento Yum controversy and the conversation launched from there. As it turns out, the greatest majority of posters to the snark thread sided with Bento Yum. Even better, many had never even heard of bento and became enamored with our site and our sets. As a result, we saw another link and traffic boost and even more sales. What started out as a sinking ship quickly turned into a rocket ship. The lesson here is not to assume defeat simply because you've stumbled into a hornet's nest. Anyone who has dabbled in social media marketing for any length of time has run into problems like this. It's a tricky situation and no matter how genuine your intentions or how carefully you plan your strategy, you risk angering the community. No business should explore a social media campaign unless they're willing (and able) to deal with these types of problems. The good news is, when problems happen in the social media realm the conversation is often transparent. Angry community members will share their frustration online and will outline exactly what has caused them to become so upset. It's a rare chance for a business to gain a full understanding of their mistake. How companies react to these criticisms defines their ability to recover. Enter the waters of conversation with honest intentions and a genuine interest in being part of a community and you stand a very good chance of weathering the storm. Hi Jennifer, thanks for sharing so openly; am sure my blog readers will get a lot out of your experience. Hi Jennifer. I just wanted to say that I appreciate the honesty and genuine nature of your approach to marketing. The reason people are so jaded towards marketers is precisely because engineering an elaborate scheme at the expense of a community just to make a few bucks is exactly what marketers have been known to do. So it's nice to see a prominent marketer committed to ethical methods of running a business. So I just wanted to say thanks. And also... I'm going to tell my wife about your Bento site because she went Bento crazy about a month ago (talk about an odd coincidence). One of the things that I've loved about writing here at Search Engine Guide over the years is the chance to really write some open articles about marketing. Since it's *my* site and not a client's site, I can be completely transparent. I screw up, it happens. I don't mind sharing so others can learn. In fact, it's a great way for folks to learn. Really though, the whole point is to share the lessons I learn while living life on the web. If you don't value the communities you belong to, you can't expect them to value you, let alone have any interest in what you have to sell. Selling has to be secondary to the relationship in social media, or you don't stand a chance.